The light and scent of a burning candle is something that most people enjoy, so a candle fundraiser makes sense if you want to make some money and sell some pretty things. Nearly everyone has candles of some sort, so you may find this a popular choice. Over $2 million is spent annually on candles, so there is a lot of money out there to earn. If you’re concerned about people who are allergic to scents, most companies will offer unscented candles that will look nice, but not bother people’s allergies. Also, many companies offer a variety of candles that will fit anyone’s decor. JustFundraising.com offers candle fundraisers that are labeled with inspirational quotes, and another candle line for church organizations called Journey of Faith, which is labeled with biblical scripture. It adds a real nice twist to the regular candle fundraisers. First of all, you need to decide how you’re going to host the fundraiser. There are two ways – one, you can have a brochure fundraiser and pass out catalogs so that your contributors can choose that way, or you can have on-hand sales, which require you to place an order for candles and then sell them. This requires you to pay out-of-pocket upfront, which may be a problem for some organizations. However, you can sell them at events like craft shows, sports events, and church bazaars. You might have better luck, since customers can smell all the scents and take home the candles right away. With brochures, some companies will send a scent card out with the brochure, but others won’t, and it’s hard for customers to choose the candles that they would like when they can’t touch or smell them. As well, they will have to wait for their orders to come in, which some people may not like, either. However, there are pros and cons to each method, so it’s really up to you what you decide to do. Once you’ve chosen your method of selling, you’ll need to decide what type of candles you want to sell. There are generally two types of candles: ones that are made from paraffin wax and ones that are made from soy wax. They both have good advantages and some people prefer one over the other. It really depends on what your group thinks will be the best seller. Next, you’ll need to consider pricing. Some companies allow you to set your own price for the candles, but others have set prices. Keep in mind, however, that more expensive candles may be harder to sell. You can set your own profit margin, but you won’t sell much if you set the prices too high. You can choose to sell less, more expensive candles or more, less expensive candles. A good way to get an overall good sale is to set a number of candles that each participant should sell. You can also provide incentives, if you wish, to make sure that this will work. You can make 100% profit if you wish – it all depends on how much you sell. A good sale, especially if you can set your own prices and cover the cost of the candles upfront, can net you quite a bit of money. Beware of the costs of booths and tables at area events, though. You will probably make less if you use the brochure method – those candle companies tend to set their own prices and have different rules. Also check how much shipping costs will be for both methods. Candles are items that come with their own advantages and disadvantages. However, don’t let that stop you from hosting a candle fundraiser if you want to – but be informed. The pros of candle fundraisers are many. For one, candles are very consumable, beautiful items that are popular. This means that you probably will have good luck selling them and you can host multiple fundraisers using the same product. You will probably make more profit around holidays, especially Christmas, since candles make good gifts for anyone. As well, if you sell a lot, you can make a lot – and good profit is always important. People may come to look forward to a candle fundraiser, and if you host one and do well, you may see more people at your next one, if the good news travels by word-of-mouth. 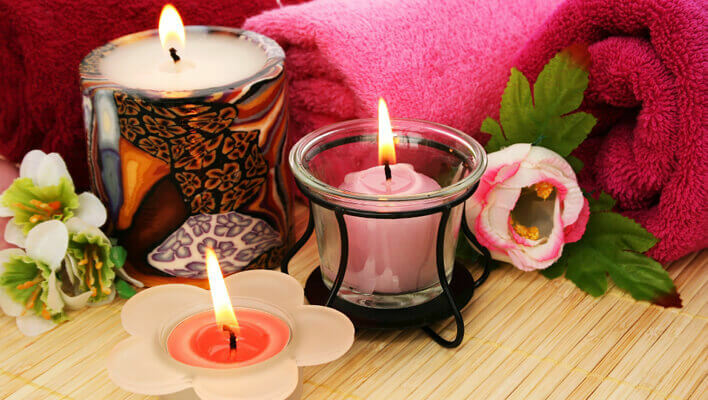 On-hand candle sales are often very effective, because people don’t have to wait for delivery and they may buy more when they can touch and smell the candles themselves. There are cons to candle fundraising, however. Coming up with the money for on-hand candle sales can be tough, especially when you don’t know how much you’ll sell. If you don’t want to carry an inventory, you can use brochure fundraising, but your profit margin may be smaller because of companies’ set prices. You may also sell less because people can’t touch or smell the candles. Also, young participants, such as schoolchildren, may have a harder time selling candles in an on-hand sale. Whatever method you choose, you’ll likely have a good experience selling candles.